Incodema3D Inc., Ithaca, NY will collaborate with Professor Shefford Baker, Materials Science and Engineering to characterize the physical properties of several metallic materials made into test specimens by an additive 3D manufacturing process. Molaire Consulting LLC., Rochester, NY will collaborate with Professor Brett Fors, Chemistry and Chemical Biology to synthesize 4 new molecular glass materials for use in organic light emitting diode applications. The new materials will then be characterized and tested for their mass, thermal, electrical, and photo-physical properties. Shadetree Innovation, Marcy, NY will collaborate with Matt Ulinski, Sibley School of Mechanical and Aerospace Engineering, Master of Engineering Program Director at Cornell University, to develop a working device intended to be installed between a bathroom shower head and the supply pipe that will conserve both water and energy. Empire State Development’s Division of Science, Technology and Innovation (NYSTAR) supports collaborative industry/academic partnerships to foster integrated approaches for developing and commercializing innovative technologies. NYSTAR serves as a resource for small and start-up technology companies. 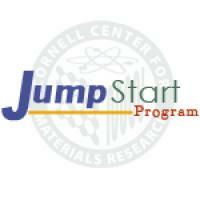 The Cornell Center for Materials Research is a National Science Foundation and New York State funded interdisciplinary research center at Cornell University whose mission is to advance, explore, and exploit the forefront of the science and engineering of advanced materials. This objective is pursued through fundamental experimental and theoretical studies. Three other complementary functions complete the CCMR’s mission: educational outreach to teachers and students; industrial outreach and knowledge transfer; and the operation of shared instrumentation in support of materials research both on and off campus. Shadetree Innovation is an inventor developing a water conserving device intended to be installed between the shower head and the supply pipe that will conserve both water and energy.